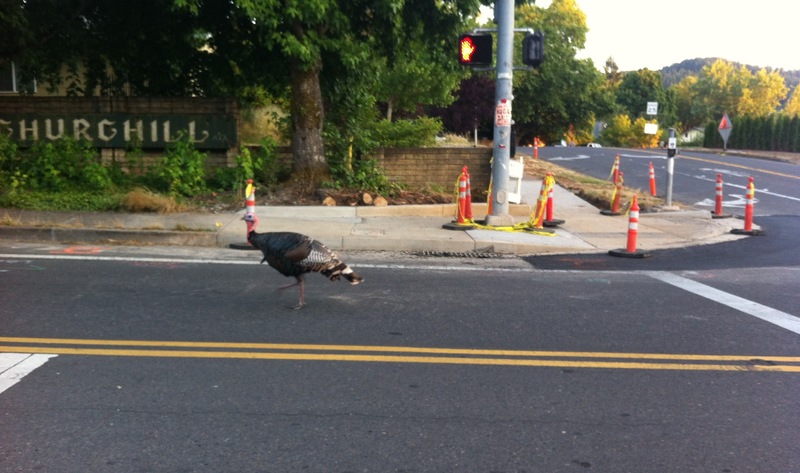 My town has wild turkeys. I have no idea where they came from, or where they…roost? But a few years ago they just started appearing in the oddest places. Like the middle of the street. 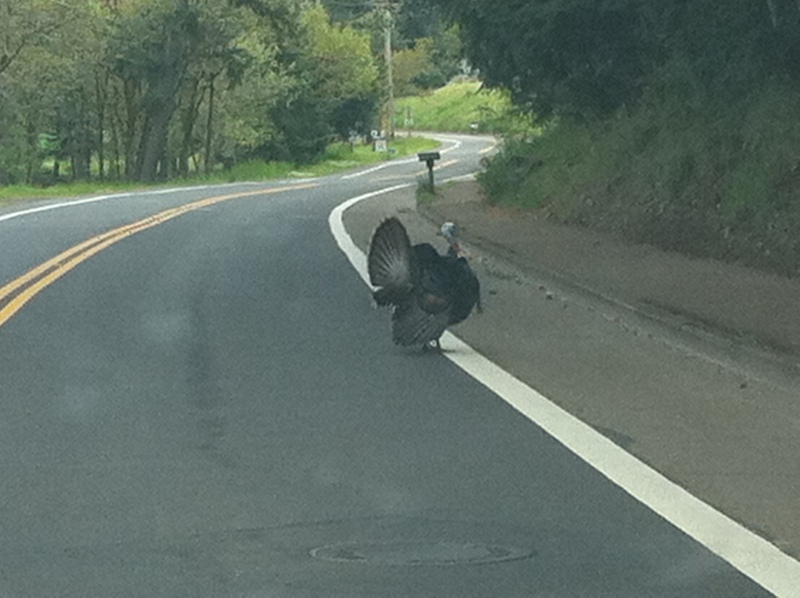 Why did the turkey cross the road? Perhaps it was because the light was red. This is really not an uncommon sight. 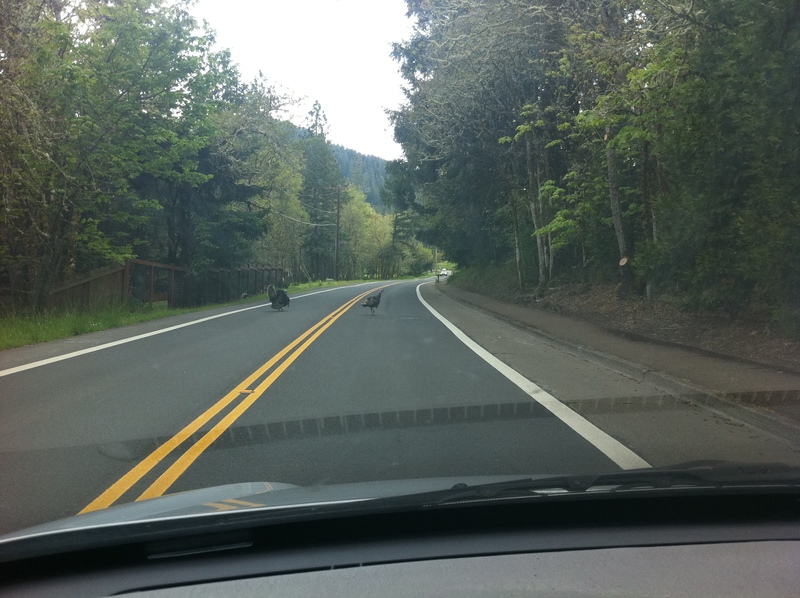 Below are some pictures I took of some wild turkeys I came across around the same time last year – on the completely opposite end of town (at least 10 miles away). 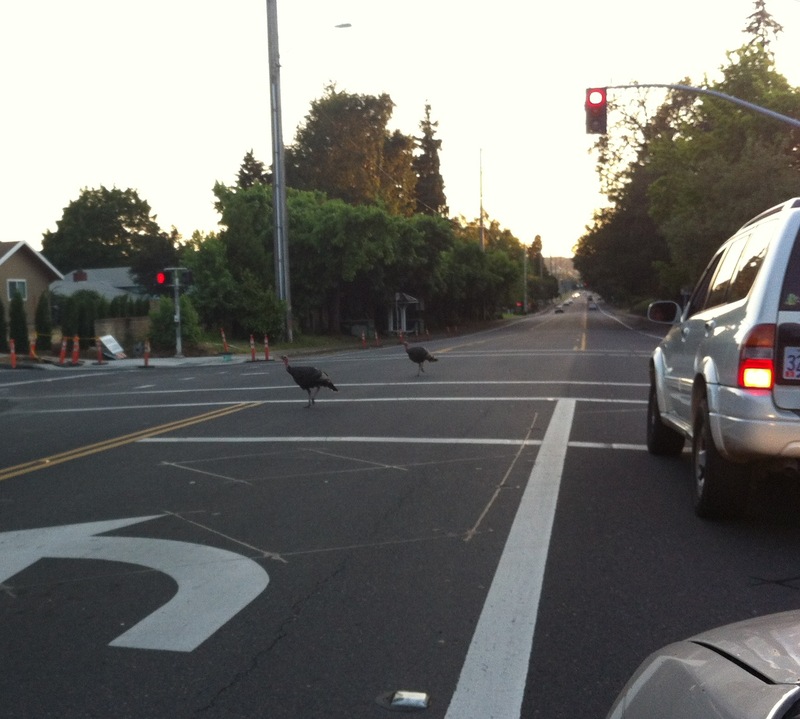 Do wild turkeys migrate/have a broad range? 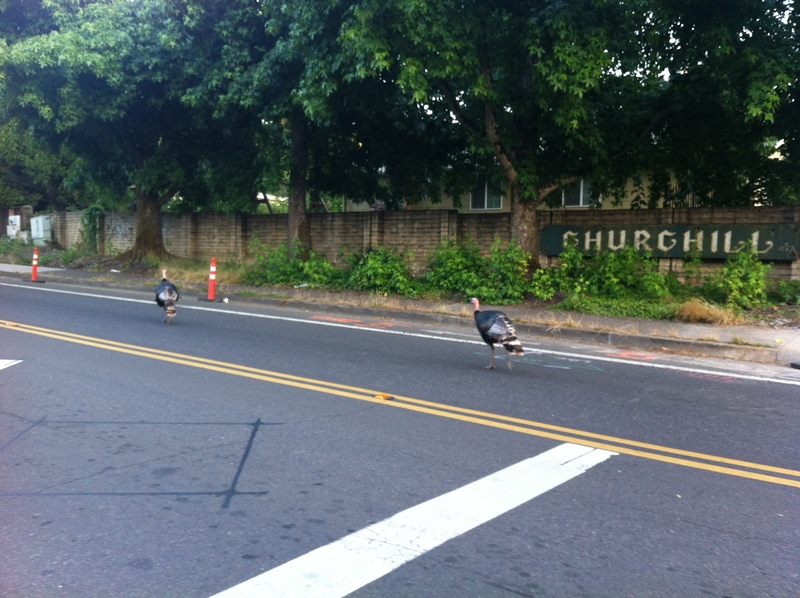 Or do we have several rafters of turkeys running around out there? Did you know a “group” of turkeys is called a “rafter”? I didn’t. I had to google it. 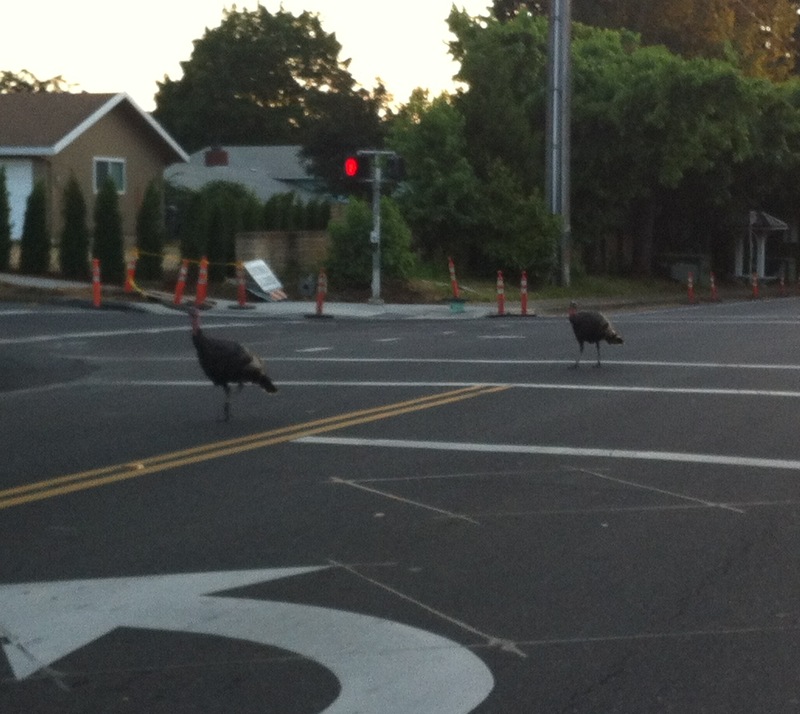 I thought a group of turkeys was called congress. A group of Owls is a parliment. Very close. You learn something new everyday. 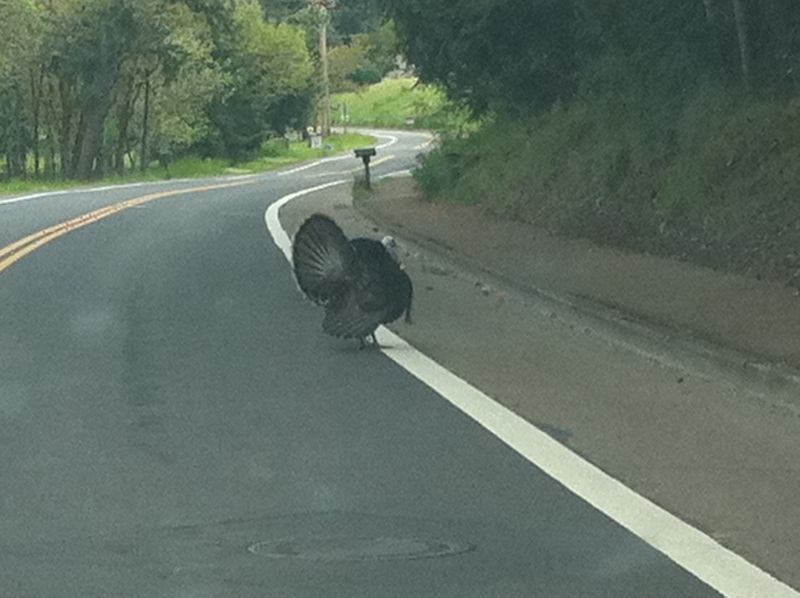 I still think congress are turkeys. You’re right! I meant Crows! Don’t know how I got the two confused haha. I learned something new today from your post. Thank you, Andrea! Very cool. 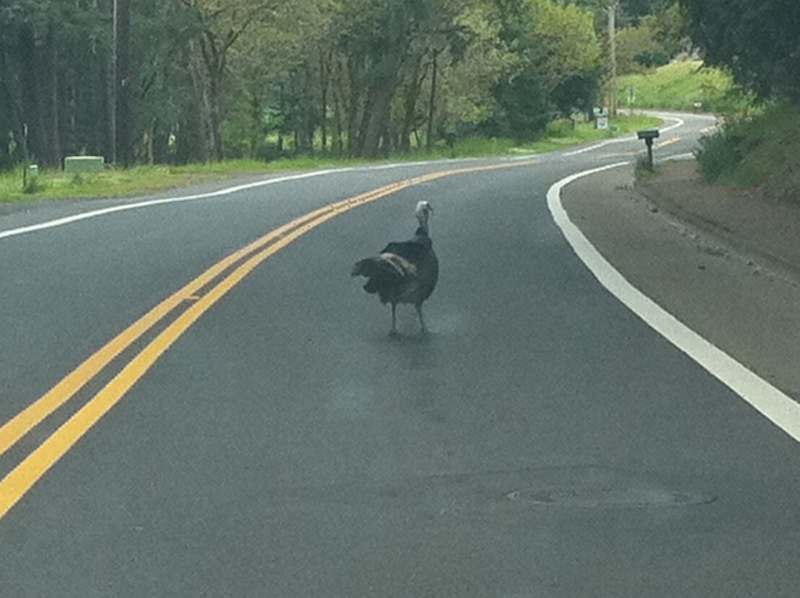 I would love to see wild turkeys. I’ve heard they are quite pretty. They look rather HUGE as well… I think I’d stay in my car! :D Also, funny comments between you and Chuck Huss! Congress… haha! Great post. :) Glad we could entertain you! Thanks for the comment! !